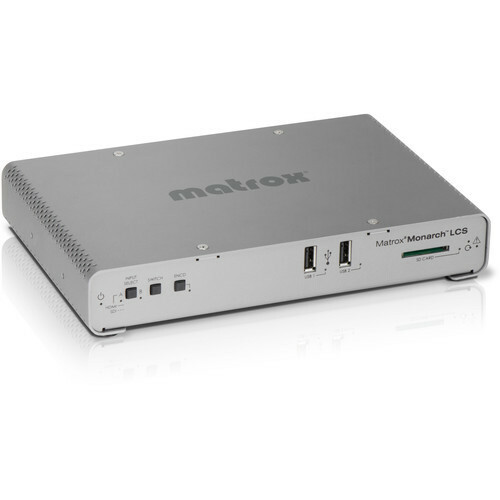 The Monarch LCS Lecture Capture Appliancefrom Matrox allows you to simultaneously stream and record HDMI/SDI-based video. Expanding on the Monarch HDX, the Monarch LCS features two HDMI inputs, one for video sources and one for computer sources, plus one SDI input. Its dual encoders can process up to two of these three inputs simultaneously. Live content preview is available in both HDMI and SDI outputs. The Monarch LCS is designed to provide a mix of live video footage and/or SDI/HDMI presentation material. Suitable for on-line courses or lectures, video of the instructor can be displayed alongside the class material being referenced.